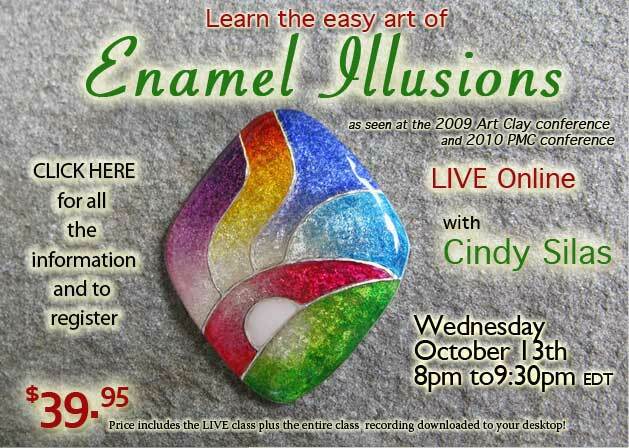 I'm very excited to have taught this class on CraftCast!! 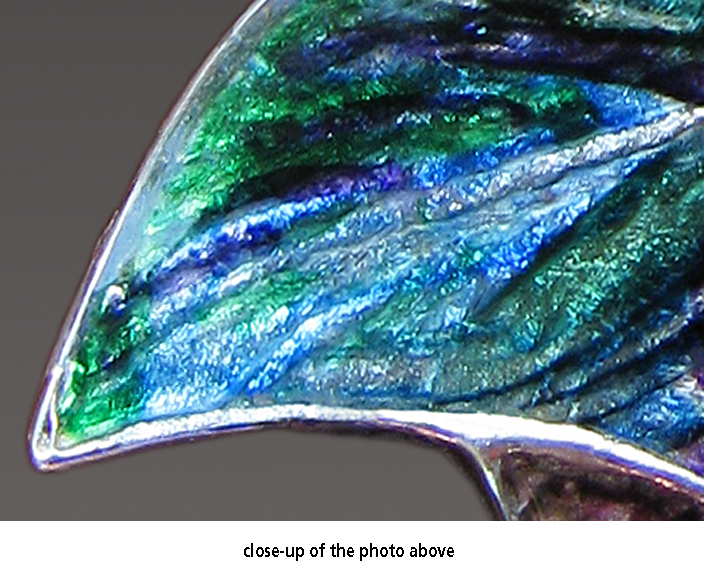 I show you step by step the Enamel Illusions technique that closely imitates transparent, vitreous enamel. 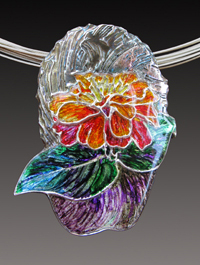 You'll learn a no-kiln method that will add a genuine sparkle and vibrant color to your silver. I'll show you which products work, which don't, and why. There are a limited number of spaces available. Register today! 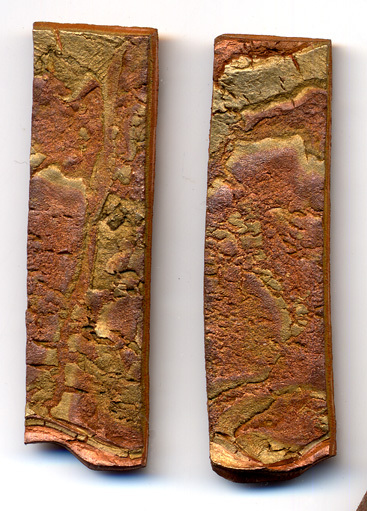 This workshop will introduce you to simple techniques for working with silver, bronz and coppr metal clays. If you've wanted to try them, but were afraid to, here's an opportunity to get your feet wet. Walk away with new techniques and some jewelry to boot! Below are more workshops that I would love to teach to you! As a two-day workshop, you will learn the expanded version of the one-day workshop described above. We will have time for additional learning, creating, and fun! Also included is learning everything that is in the Photopolymer Plates Galore class (see that description below) and making your own texture plates. Basic silver clay experience is preferred, but NOT necessary. If you'd like to schedule this workshop for your group, please contact Cindy. 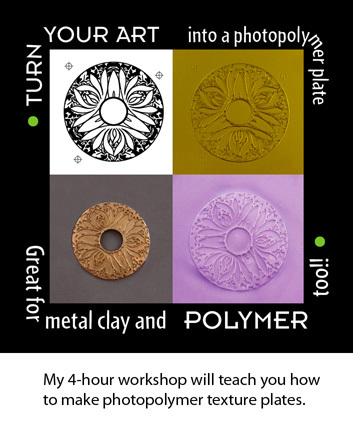 Whether you work primarily in metal clay or polymer, this workshop will teach you more about both mediums and a new technique that combines and compliments both. 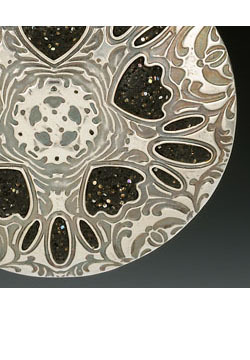 Metal clay can be designed with cut-outs, similar to a brass stencil. Then, after firing and finishing it, polymer can be pushed through the holes. 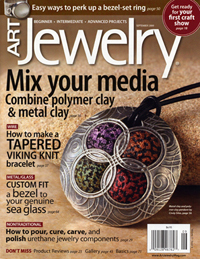 In this workshop, you will make a domed pendant or bead, while learning new ways to make original texture plates, the in's and out's of designing and carving a fine silver metal clay frame, an innovative way of connecting the two mediums, and a controlled method of filling the frame with polymer. please email Cindy and put "workshop" in the subject line.